A while ago I setup Exchange Server on a virtual machine to play around with it and see if I could get a proper mail server working. I thought I did pretty well because I was able to send and receive messages internally on the network and was able to send emails out to the Internet. Note that if you have come to this page because you are trying to send an email to someone and you’re not sure if it’s a problem on your side or with the receiving side, it’s definitely with the receiving side! In that case, you need to call up the person you are trying to email and tell them to notify the network or email administrator of the problem. It’s basically a configuration problem with Exchange Server that has to be fixed. So if users on your domain cannot receive email from outside of the internal network, here’s what you have to do. 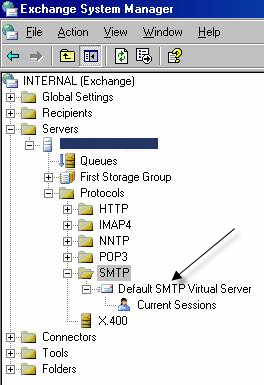 Step 1: In Exchange System Manager, expand Servers, expand Protocols and then expand SMTP. 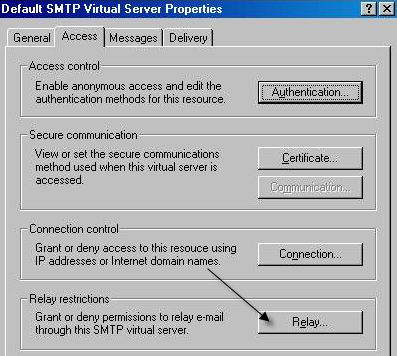 Step 2: Select the SMTP Virtual Server that you are using to connect to the outside and right-click and choose Options or Properties. Step 3: On the Access tab, click on Relay. Step 4: First, choose Only the list below. 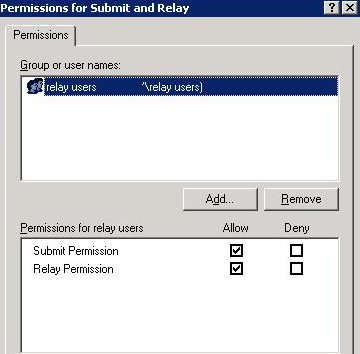 Now you will want to uncheck the Authorize relay to authenticated computers or Allow all computers which successfully authenticate to relay check box and click on the Users button. Step 5: Check the Allow boxes for Authenticated Users (Submit Permission and Reply Permission). That’s it! Now all you have to do it start and stop the SMTP Server from the main console window in Exchange! External users should now be able to send emails to your domain without getting the “Unable to relay” or “You do not have permissions to send to this recipient ” error. Enjoy! What is COM Surrogate in Windows 10 and Is It a Virus?